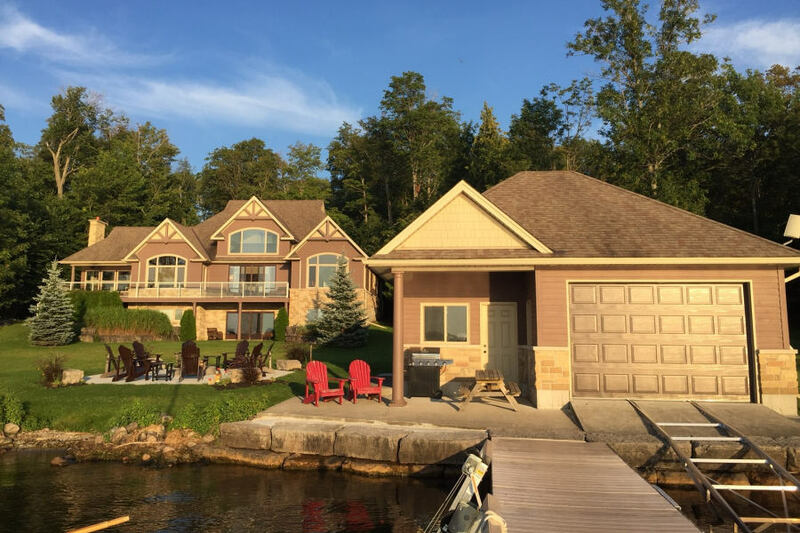 "Manitou”, in Algonquin, refers to the balance between Spirit and Nature and this cottage embodies the spirit of cottage country in its beautiful waterfront, supremely comfortable accommodation and leisure facilities. 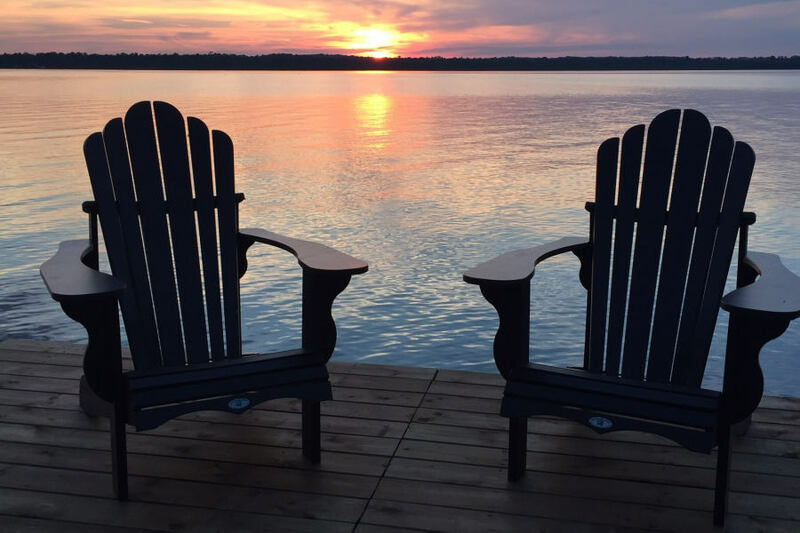 With westerly exposure on Sturgeon Lake, guests at Manitou will enjoy magnificent sunsets- the best way to end each day at this outstanding location. 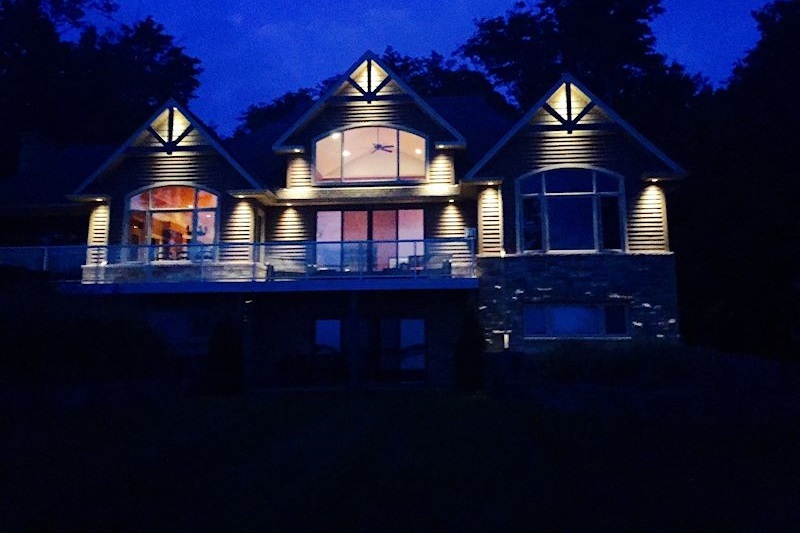 Glimpses of sparkling water on the approach to the cottage will whet the appetite for what is to come, and as you pull into the driveway, you’ll know you’ve arrived at a very special place. 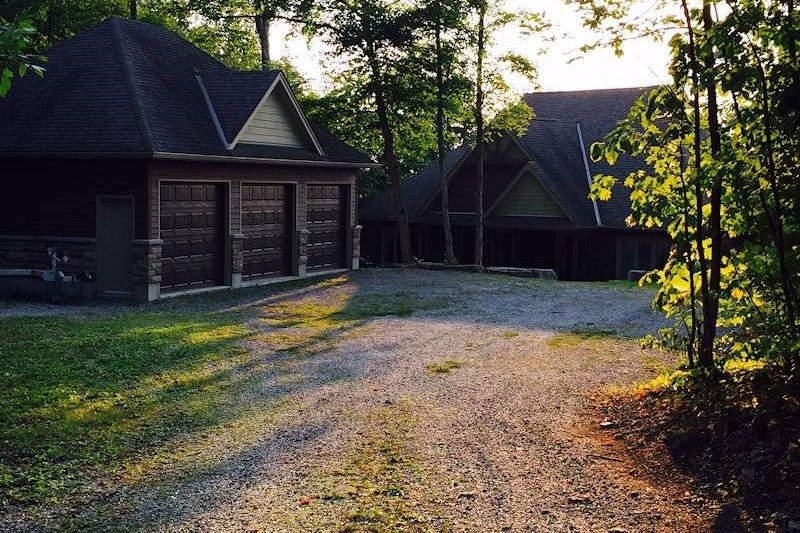 There’s ample parking for several cars. 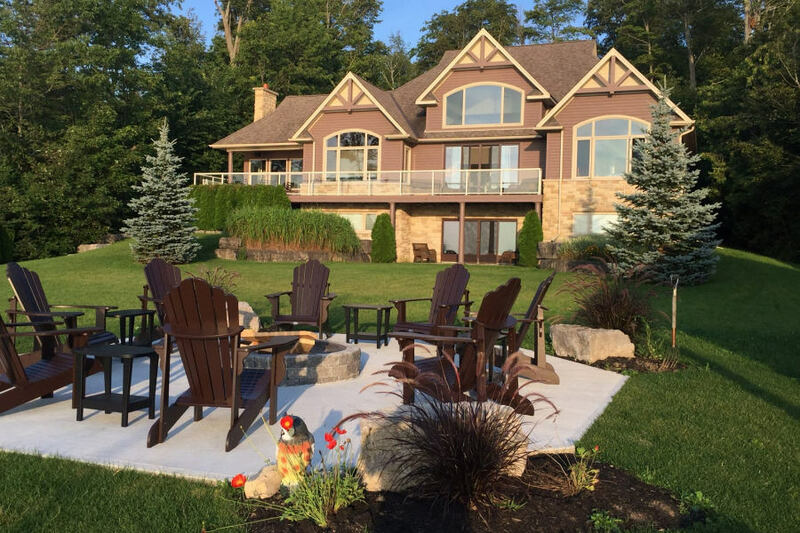 Landscaped gardens are a feature of this property and guests with children will appreciate the level lawns leading down to the water, which is shallow for several feet before deepening gradually. 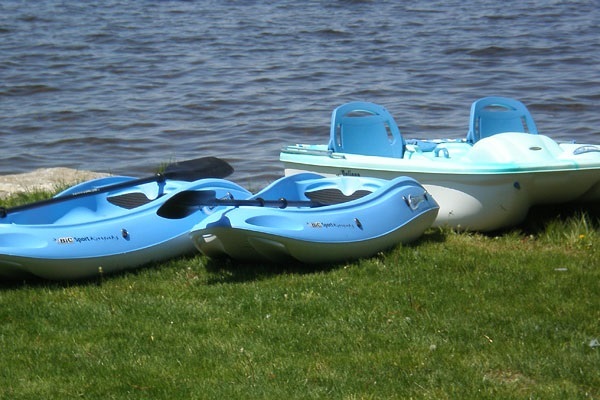 Water lovers will have fun lakeside with kayaks, inflatables and a 14 ft aluminum row boat included with this rental. 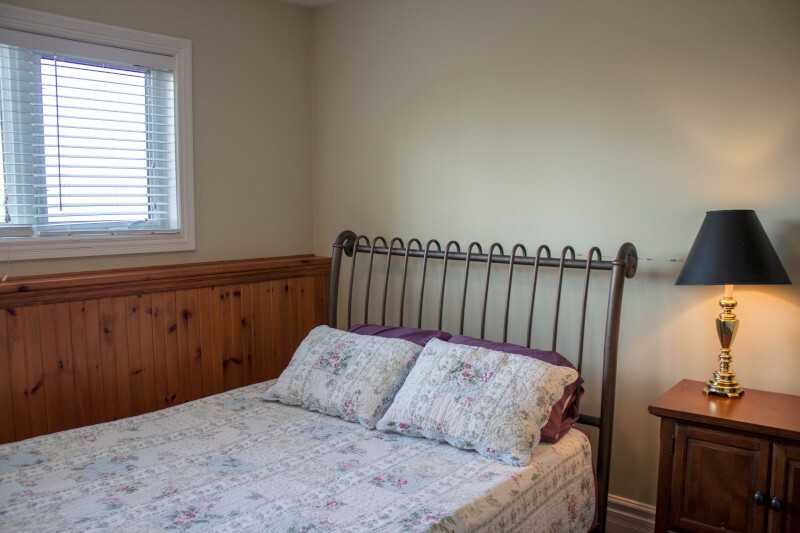 The interior of the cottage is open concept, light-filled and spacious. 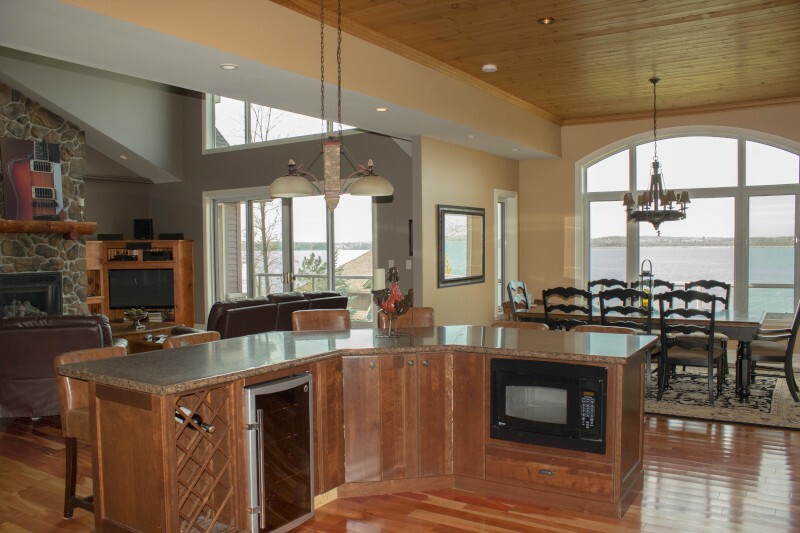 A large hallway opens into the great room, kitchen and dining area with huge windows overlooking the lake. 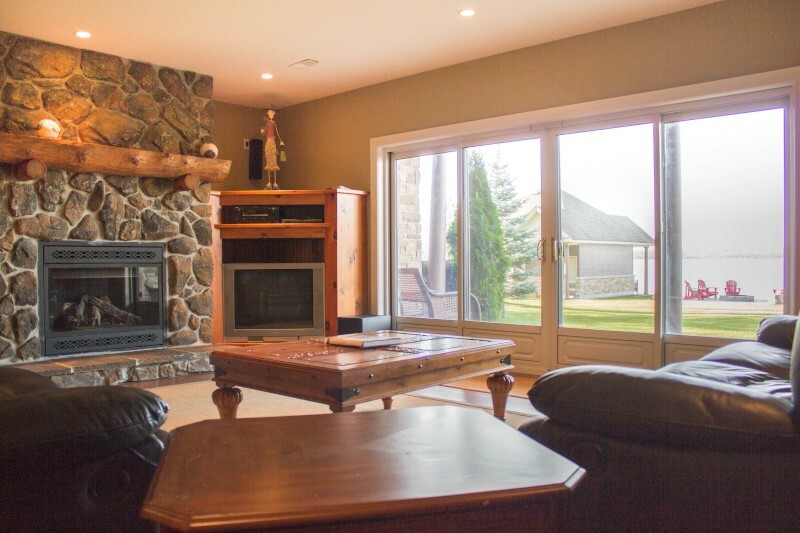 The living room features comfortable reclining leather couches, a gas fireplace and 50 inch TV/home theatre. 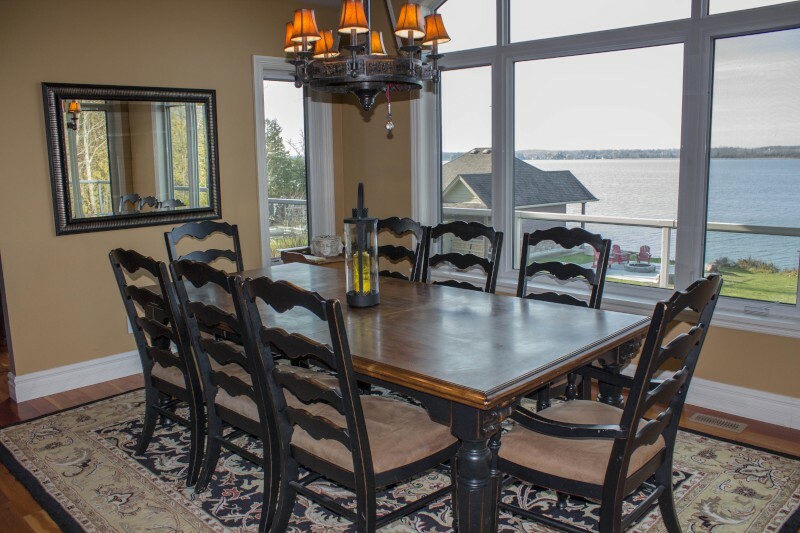 The dining room with seating for 10 plus 4 more at the island has beautiful waterfront views. 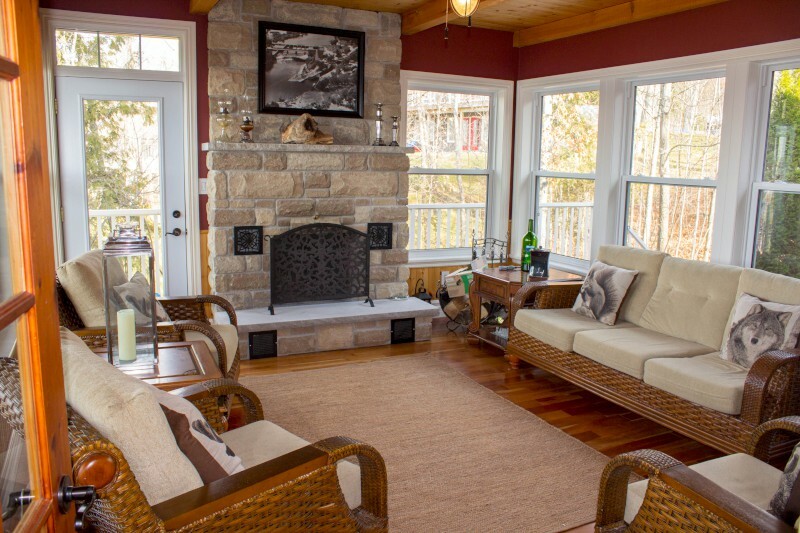 Beside the dining area is a light- filled Kawartha room where you can take coffee on cooler mornings or wrap up your day in front of the log fire. 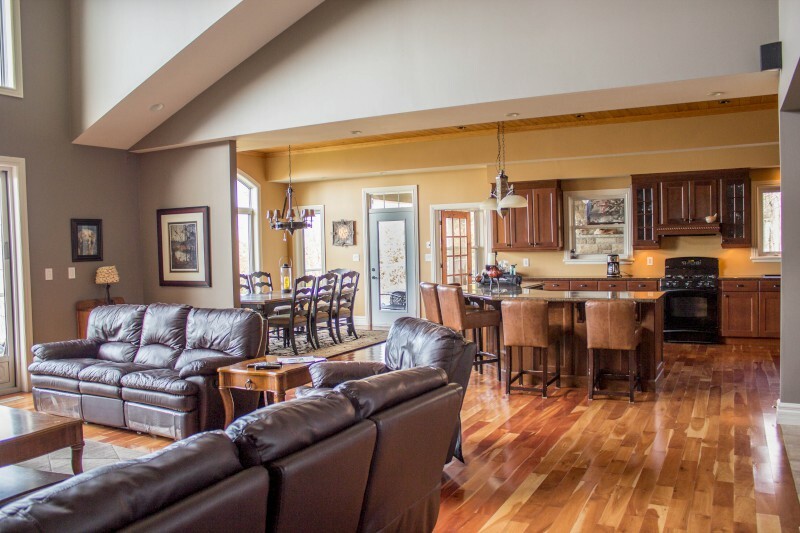 The large kitchen is fully equipped for the designated chef and is open to the living areas for socializing, with a large island unit and counter stools. 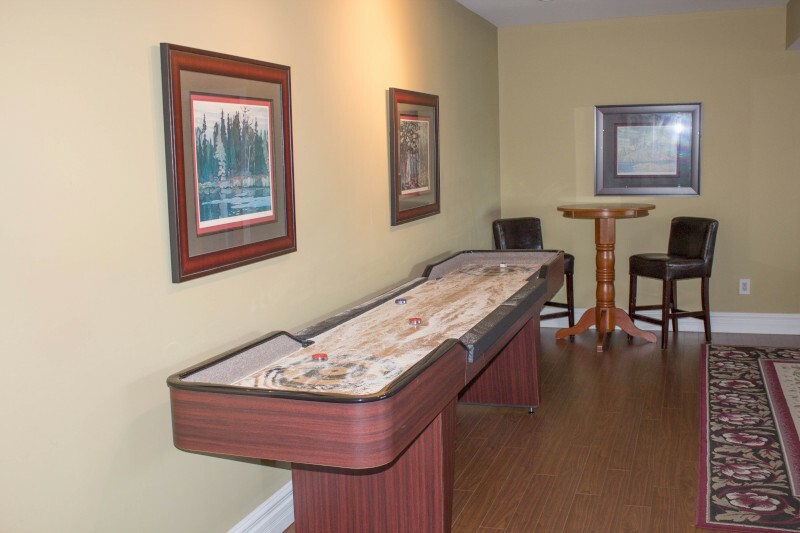 Entertainment is guaranteed here, both inside and out. 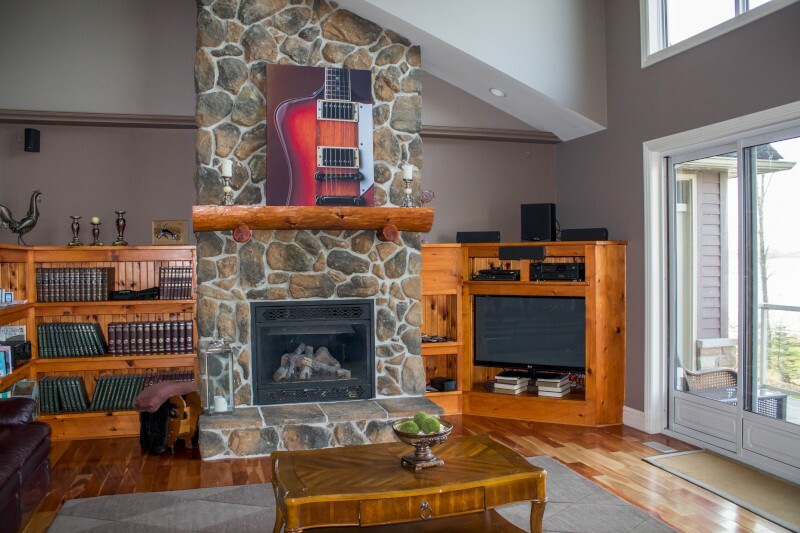 There are satellite TV and home theatre systems on both levels with 50” and 36" TVs. 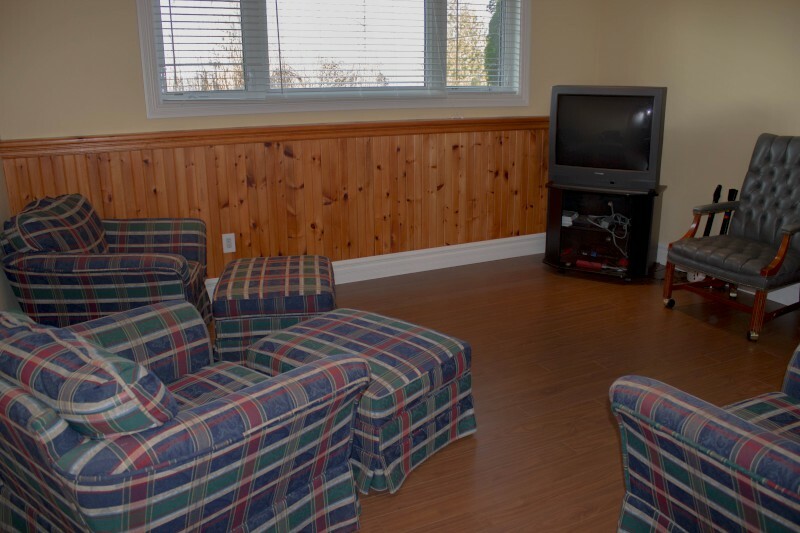 Music with individual control is available outside on the deck, in the great room and in the Kawartha room. 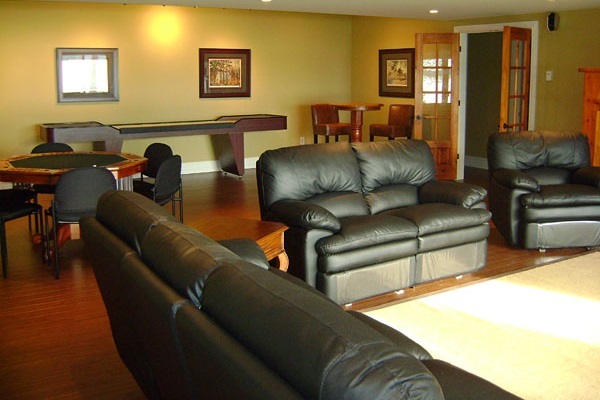 IPod docking stations ready for your iPods are in the great room lakeside and in basement recreation room. 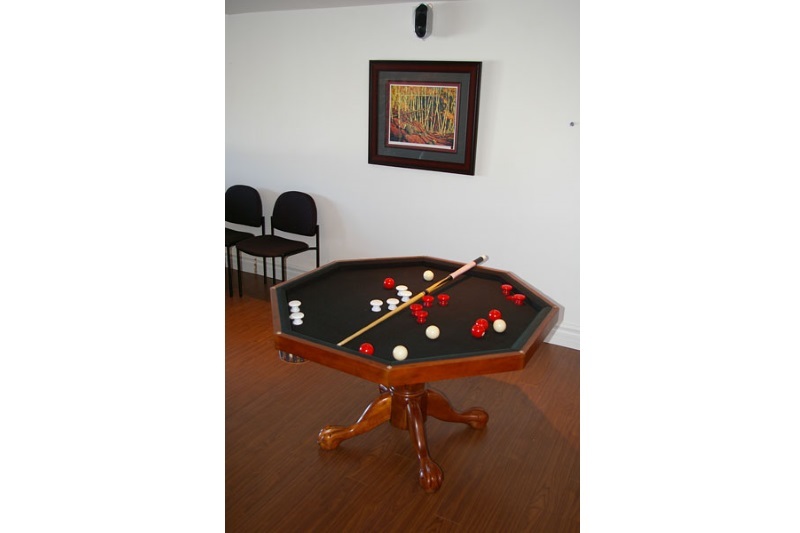 The walkout recreation room has 12 foot shuffleboard and a card table that converts to an octagonal bumper pool table for a bit of a change. 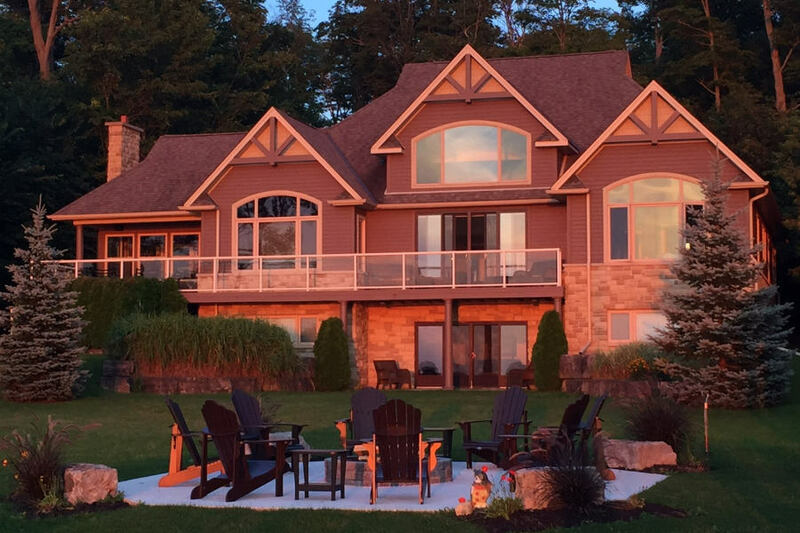 For those needing access to email or the web, the cottage and property are served by wireless hi-speed internet. 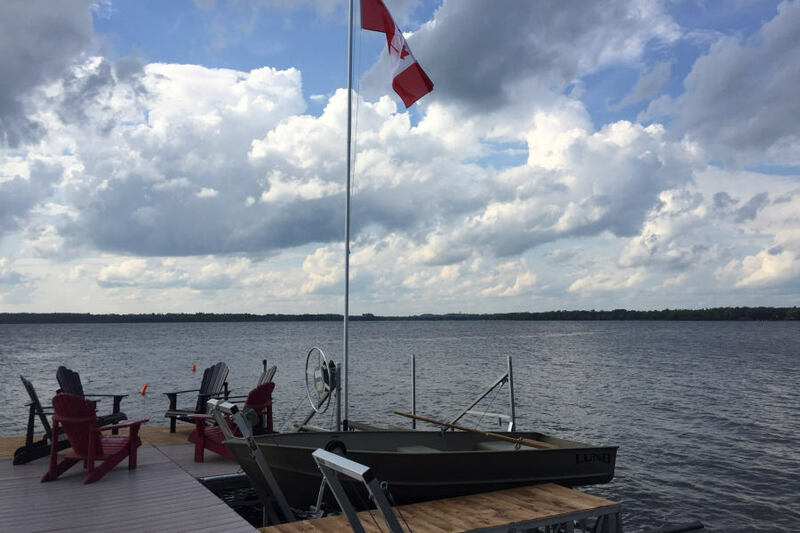 Just bring your wireless laptop or iPad (hardwired connectivity is also available in the boathouse). 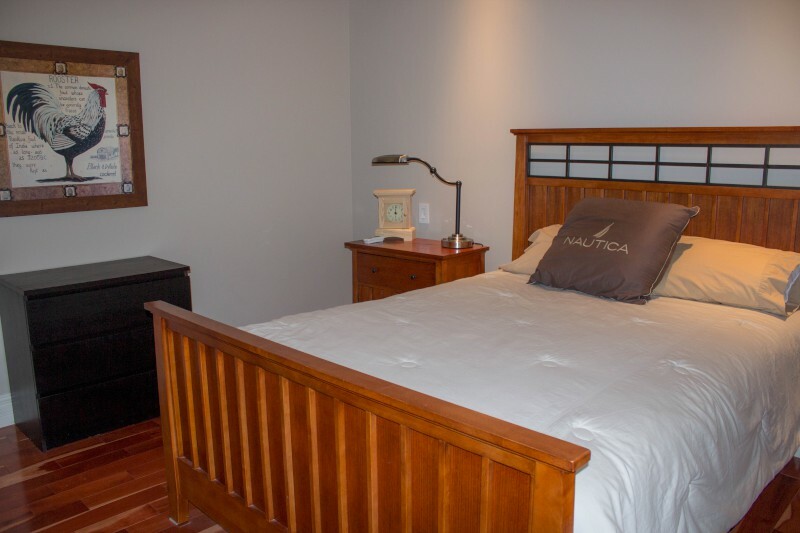 The bedroom layout makes this an ideal cottage for two or three families, with three bedrooms on the main floor and four on the lower level. They are all very comfortable - the only decision is who gets which one! 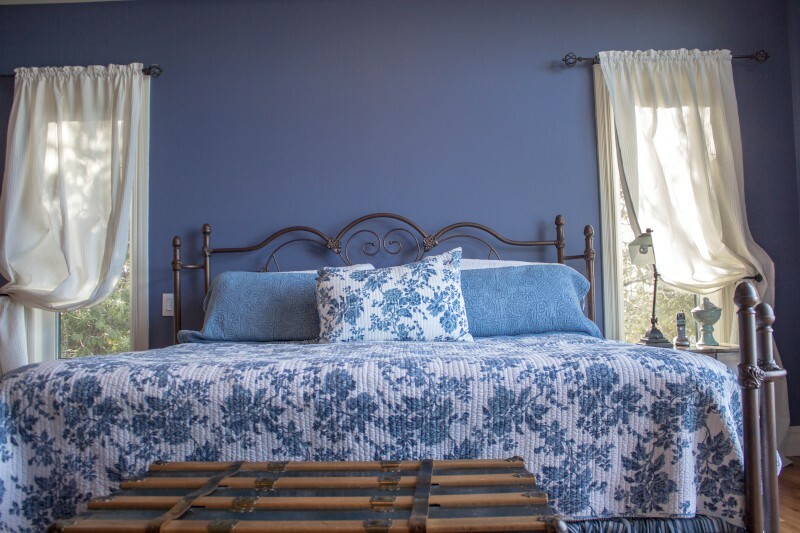 This is a perfect location for just staying put and soaking up the sunshine by the water, but if you want to do explore the area, you won't be disappointed either. 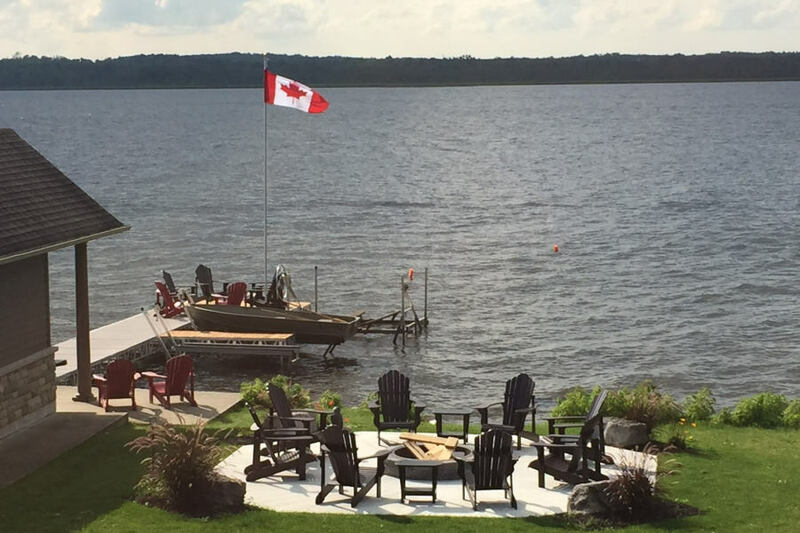 The delightful waterfront towns of Fenelon Falls and Bobcaygeon are close by with one-of-a-kind stores and restaurants to enjoy. It's ideal countryside for cycling so bring along your bikes as well. 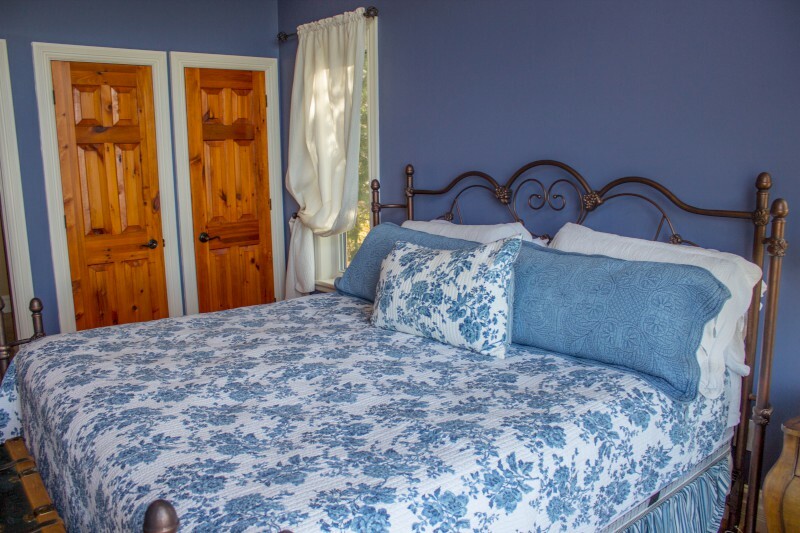 We can offer full week or Monday - Friday stays at "Manitou" in high season and flexible breaks in the low season. 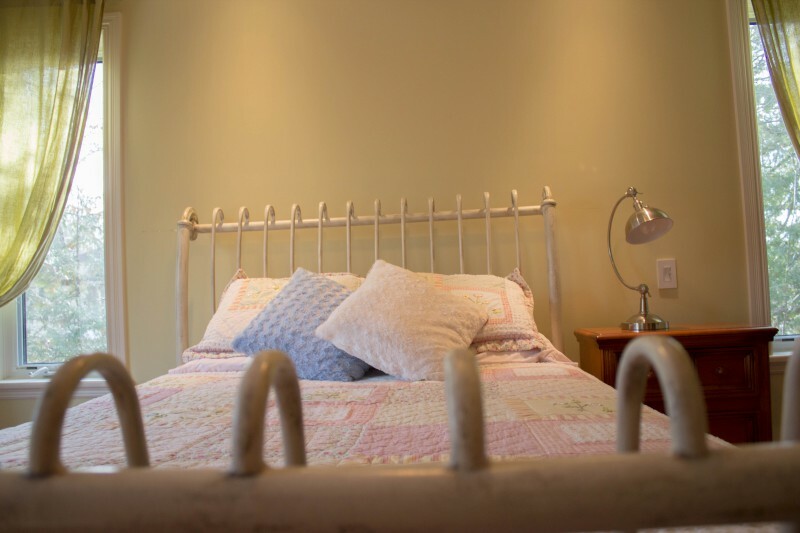 Just call for more details. 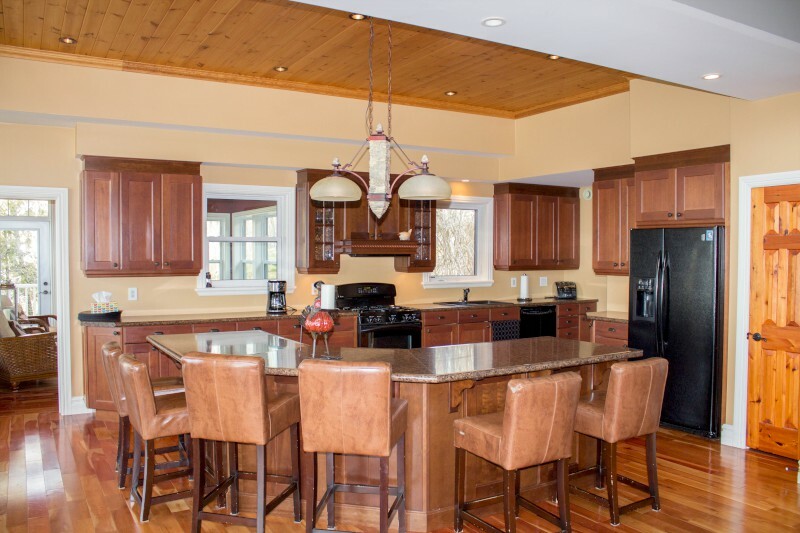 Open plan kitchen with gas range and oven, microwave, fridge, dishwasher and bar fridge. 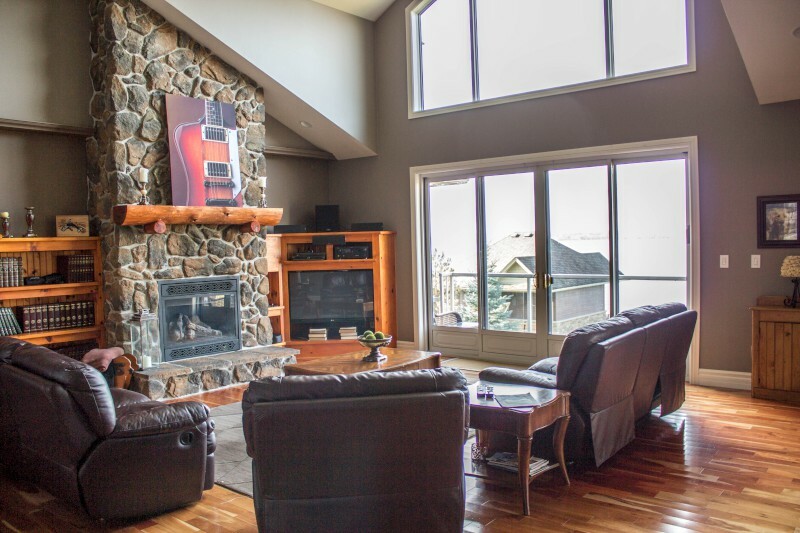 Great room with propane fireplace, reclining leather furniture, 50 in TV, DVD & surround sound. Pets are not permitted at this property. No exceptions. 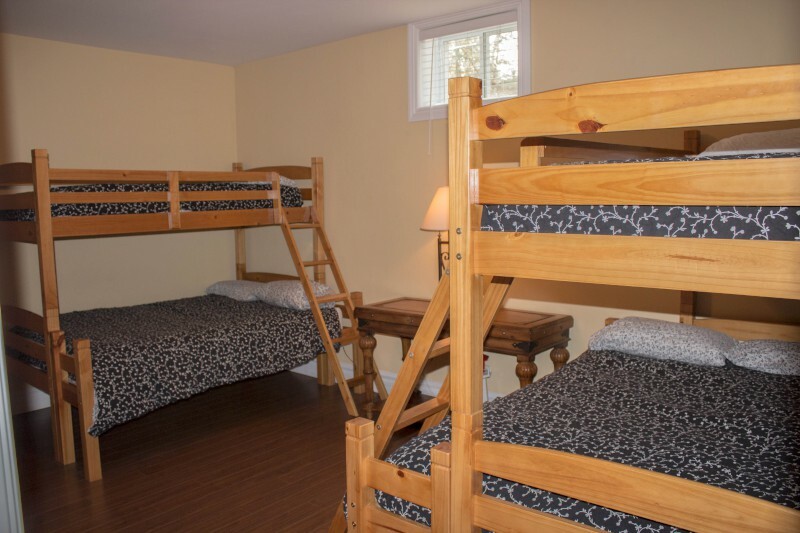 You will need to leave the cottage in the same clean and tidy condition that you arrived to. All cleaning supplies and equipment is provided. 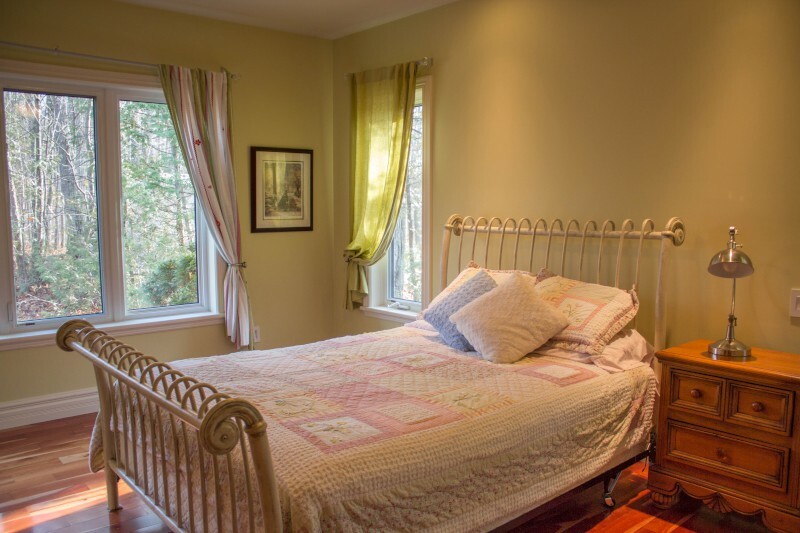 A pre-arranged post departure cleaning service is available at an additional cost of $300. 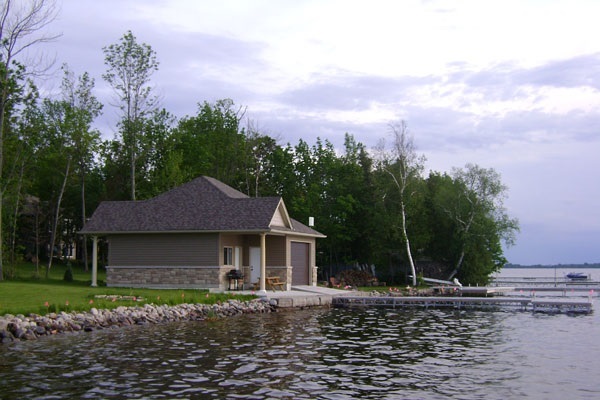 Waterfront is grass to the shoreline which is shallow for several feet before deepening gradually.